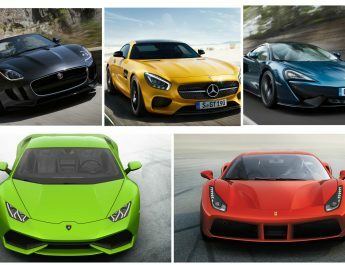 New model sports cars category has the most amazing and enthralling performance sports cars undoubtedly. Such as the 2018 Aston Martin Vantage luxury sports coupe has a design to stun the onlookers and performance to make your pulses racing. The craftsmanship, finesse and true definition of a sports car is what we see by the Aston Martin, putting their best in the latest automobiles. With a weight of 1,530kg and near perfect 50:50 weight distribution, this sports coupe has a performance and dynamic drivability to make this vehicle stand out from the others. From its design to its interior and performance, this new model sports car has everything to offer. The new Aston Martin Vantage comes with a remarkable exterior, sporty looks and a head-turner appeal. Just like the exterior, the interior is fitted with world-class luxuries to make all your rides comfortable, enjoyable and give the sheer pleasure when enjoying the fast speed of this sports car. The new model sports cars have a reputation for delivering unrivalled performance that makes them the choice of adventure vehicle enthusiast. The Vantage 2018 is equipped with a highly powerful twin-turbocharged engine adding more value to the vehicle by delivering exhilarating performance. 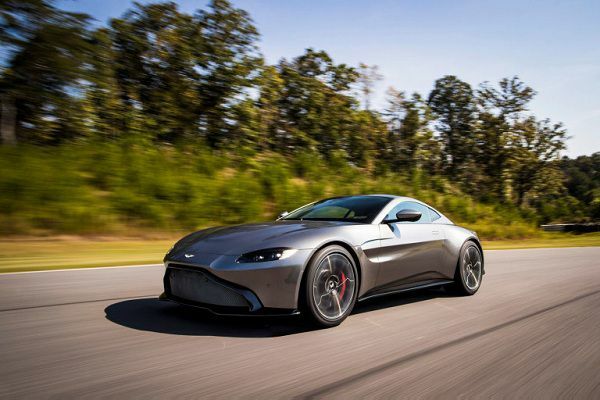 A detailed review of the 2018 Aston Martin Vantage is here, focusing on its design, exterior, interior performance and the technologies and safety features offered in this amazing sports car. Just like the name and tradition of the brand, the designers have continued to impress the sports car enthusiasts. The Aston Martin designers had keenly designed all parts of the vehicle, without ignoring the true identity and philosophy of the Aston Martin new model sports cars. 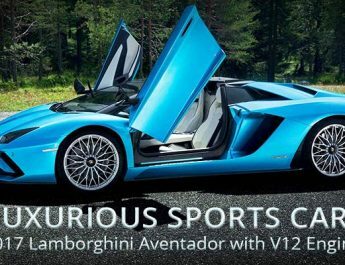 The muscular flanks, broad haunches and athletic looks with powerful performance make this vehicle more popular in sports car enthusiasts. A luxuriously designed interior to compliment the exterior is a reflection of true craftsmanship. 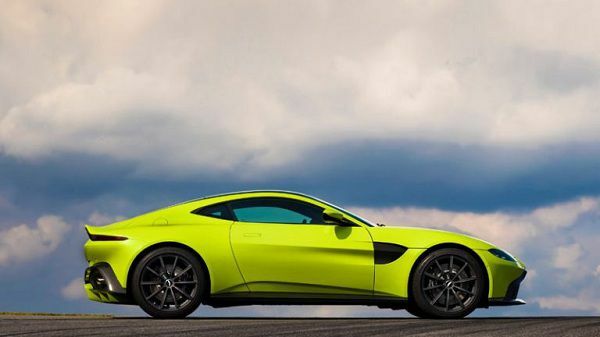 The Aston Martin Vantage 2018 is aerodynamically designed and looks elegant from every angle. Moreover, it is the very first type of coupe by Aston Martin designed for a continuous airflow from front splitter to the rear diffuser. This enhances the stability of the vehicle during a ride making it more enjoyable. The better aerodynamics are made possible by reinventing the traditional side strake, as they help direct the airflow from the wheels and reduces the drag while driving. 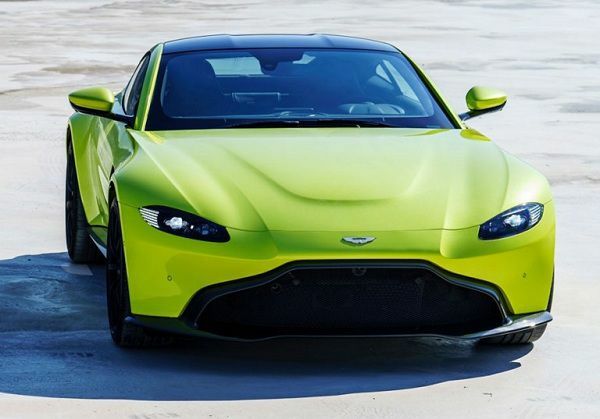 The 2018 Vantage comes with a bold front fascia dominated by a titanium grille with S curve surrounding, adding more aggressive appeal to the profile. It has a traditional front aero-splitter providing fresh air to the engine, which helps to enhance the performance of the vehicle and delivers an exhilarating performance on all road conditions. The stylish ultra-slim headlight and rear lights enhance the exterior’s beauty and appeal. It also has an Electronically Controlled Stainless Exhaust System fitted on the rear of the coupe is the reason of a thrilling sound when the coupe reaches its top speed. The 2018 Vantage has silver exhaust tailpipes on rear and 20-inch Y-spoke wheels giving the true sporty look and performance on the road. It has a distinctively designed driver-centric cockpit, a low driving position cabin, and plenty of headroom and legroom. The interior is luxurious and expressive just like the exterior, enabling the passenger to enjoy sheer luxury and comfort even on high speed. The dashboard of the 2018 Aston Martin Vantage a three-spoke electric power steering wheel with driver’s assistance controls providing easy access to the coupe’s all technological features. 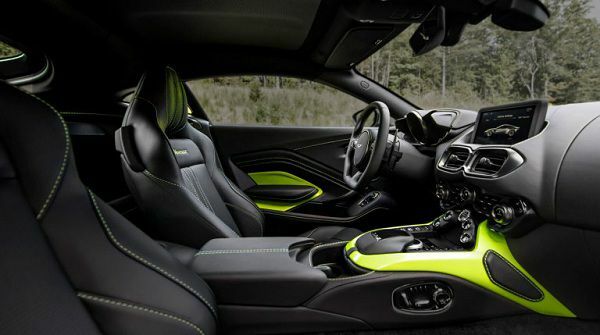 The heated rear screen, a 2+0 seating arrangement, Alcantara leather wrapped seats, automatic temperature control with dual-zone climate control, full carpeted cabin and also featuring a Memory System to keep seating positions intact, make this sports car a more desirable in new model sports cars segment. The aluminium body structure and steel panels reduce the overall weight of this sports car making it an agile vehicle. The Independent double wishbone design, coil springs, adaptive damping suspension and anti-roll bar enhances the stability on all road conditions. The new model sports cars latest launch has Adaptive Damping System (ADS) to provide appropriate suspension according to road conditions. The 2018 Aston Martin Vantage has three modes available that are Sport, Sport+, and Track. This latest sports car has rear-wheel drive and the engine is paired with ZF 8-speed automatic transmission. Moreover, it has a 4.0-litre twin-turbocharged V8 engine with Dual Variable Camshaft Timing and fully CNC machined combustion chambers. 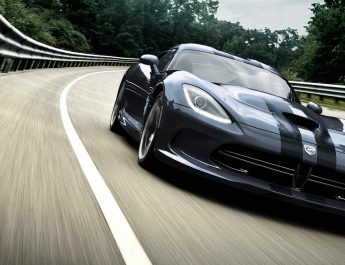 It can reach up to 0 to 62mph in just 3.6 seconds at a top speed of 195mph. The powerful engine can generate 503 horsepower and an amazing 685Nm of torque, and a combined fuel efficiency of 9.4-litre per 100 Km. The advanced technologies introduced in its vehicles make rides entertaining and more comfortable. Similarly, the 2018 Vantage is also equipped with such excellent and advanced technologies assisting the driver and passenger and making their ride smooth on road. 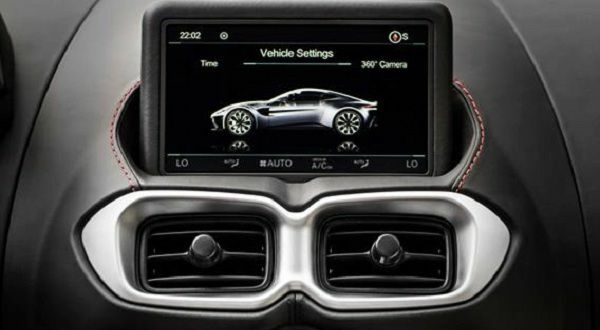 It has an 8.0-inch LCD screen fitted in the dashboard, allowing the passengers to use different available technologies. The new Aston Martin Vantage among the new model sports cars a luxury two-door coupe fitted with multiple modern safety features. With a smooth drive to a safe ride for all passengers, this luxury coupe offers great functionality, diversity and performance. 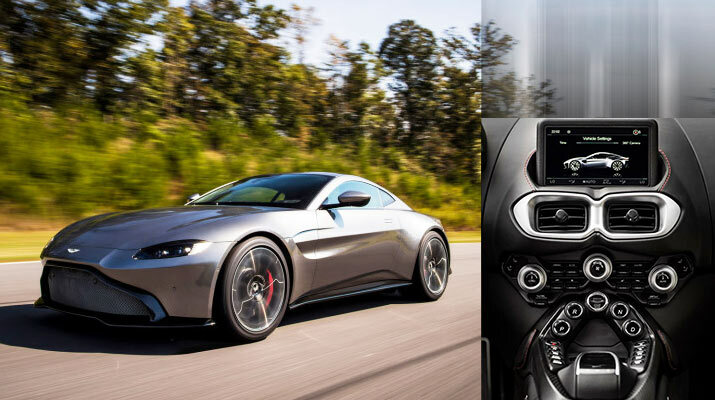 The new Aston Martin Vantage is one of the highly renowned luxury sports coupe in the in the new model sports cars and is available in the UAE. The starting price of 2018 Aston Martin Vantage is AED 600,000 and it can go as high as AED 700,000 based on optional features. However, the 2018 Vantage is an expensive sports car but the functions, performance and features justify its price tag.